Happy Labor Day you guys! 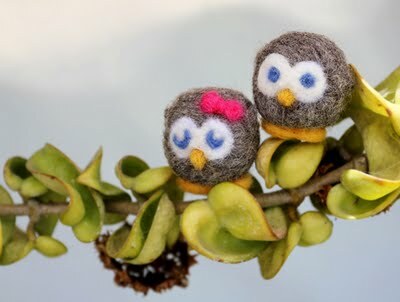 Janee, from Yellow Bird, Yellow Beard interviewed me recently- so if you want to learn WAY more about me, and my blog- AND be entered to win my two recently needle-felted owls, then check out the interview, and contest rules. Good luck!